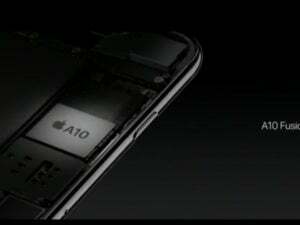 Apple's GPU in the A10 Fusion chip used in the iPhone 7 is based on the same architecture used in the A9 chip, with tweaks for the speed boost. Users have praised the performance of Apple’s A10 Fusion chip in the iPhone 7, but its underlying graphics architecture may not be so new after all. The GPU in the iPhone 7 uses a custom version of the PowerVR GT7600 GPU, which is based on the same graphics processor architecture as in last year’s iPhone 6S and 6S Plus, according to an analysis by The Linley Group, which specializes in semiconductors. Benchmarking has revealed a mixed bag for A10 Fusion GPU’s performance, according to the analyst firm. Some benchmarks supported Apple’s GPU performance gain claims, and others fell way off. But the high levels of GPU performance are only temporary. The big problem is Apple’s GPU can’t sustain its peak performance for long without concerns of overheating, Linley Gwennap, founder and principal analyst at Linley Group, said in a research note this week. Apple has been amassing in-house graphics experts to improve the GPU technology in mobile devices. Apple made tweaks in the PowerVR GT7600 GPU architecture—which it licensed from Imagination Technologies—to improve performance. Gwennap estimates Apple increased clock speed by 50 percent to get those performance gains. The custom Apple GPU blows away competitors when operating at peak speed, but it can’t sustain that performance. “We believe the iPhone 7, to avoid overheating, throttles back from its top GPU speed after a minute or less, preventing it from achieving a high score for all users,” Gwennap said. The next advance in Apple’s GPUs would be to adopt the architecture underlying Imagination’s next-generation PowerVR Series8 GPU Family. Imagination has released PowerVR Series8XE GPUs for low-cost devices but hasn’t released a high-performance successor, which in theory would be based on the same architecture. 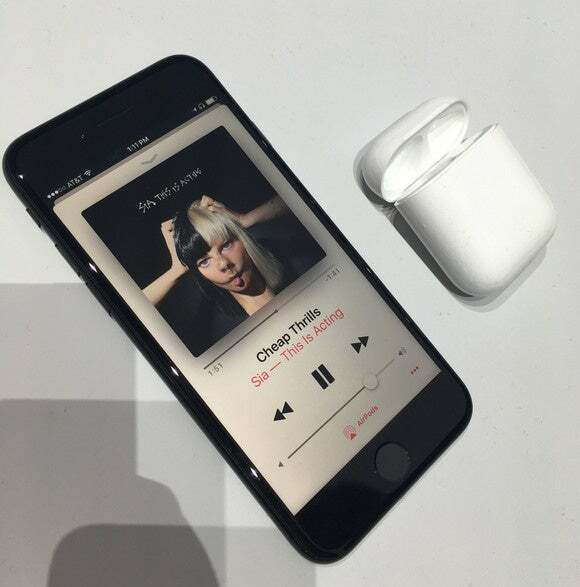 Linley Group placed the Adreno 530 GPU in Qualcomm’s Snapdragon 820 ahead of the Apple’s latest GPU in overall size, power efficiency, and performance metrics. The size of the chip is an important metric because it “controls both cost and power, so Adreno’s efficiency edge should benefit both customers and end users,” Gwennap said. David Kanter, an analyst for Real World Technologies, also detailed some advances in Apple’s GPU on his website. The tweaks differentiate Apple GPUs from generic PowerVR GPU designs. Apple formerly licensed generic PowerVR designs for earlier A-series chips until it started tweaking the underlying architecture that defines those GPUs. Apple’s tweaks ensure the A10 Fusion GPU can calculate faster and also ensures harmony with Apple’s Metal API, which brings better special effects and visuals to the company’s iPhones, iPads, Macs, and Apple TV. “The proprietary design enables Apple to deliver best-in-class performance for graphics, and other tasks that use the GPU, such as image processing and machine learning,” Kanter wrote. Apple is trying to make a GPU that works best with its hardware and software, much like it has done with its CPU, Kanter said. It’s taken tighter control of its entire product stack, and customizing the GPU was the next logical step. This benefits users, who get a better gaming and graphics experience. Benchmark results vary depending on the test performed, and device-specific tweaks may not measure well. But as a graphics architecture, PowerVR is falling out of favor to mobile device makers, and Apple’s tweaks to the underlying chip design may ultimately hold the key to the architecture’s future.